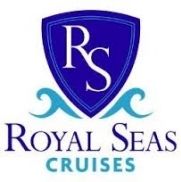 Have you received unsolicited robocalls from ROYAL SEAS CRUISES? After years of regulation by the Federal Communications Commission (FCC) and dozens of court orders telling them to stop, these scofflaws keep making unwanted calls without compunction. Little has changed over the years. Telemarketers still use prerecorded messages to push their scams. Only now they use what some call “robotic avatars.” We’ve all heard them. These robots superficially sound like real human voices by using pauses and verbal ticks like “uh” and “um,” but they’re just as unreal as they’ve always been. It’s the ultimate insult. Not only do the telemarketers think you’re stupid enough to fall for their scams, but they think you’re so dumb that you can’t even tell the difference between a human and a machine. Royal Sea Cruises has joined the ranks of companies that have chosen to insult people’s intelligence by using a robotic avatar to sell something they don’t want. “Great! This looks really good. Congratulations you do qualify for the free cruise. Although decked out with the latest automated technology, these unsolicited robocalls are nothing more than telemarketing calls in disguise, with all of the same disadvantages—inconvenience, disruption, invasion of privacy, and increased phone charges.